I have already posted one example of a cluster of morphologically similar galaxies arranged in a distinct spiral shaped pattern. 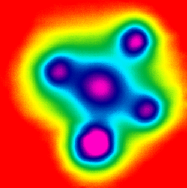 These Abell clusters are typically grouped around a large elliptical galaxy and turned at an angle in relation to the observer. Abell 1656 exhibits this same super spiral structure in spite of the fact that many of the small compact galaxies in this cluster appear to be separated by great distances, according to their redshifts. The following image was exported from version 2.76c of Patrick Chevalley’s sky chart program Cartes Du Ciel. 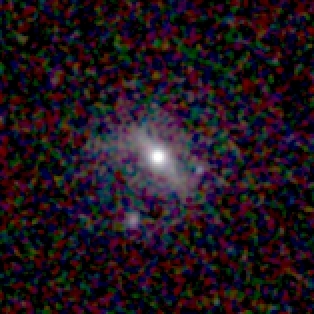 The photograph is from the European Southern Observatory’s (ESO) first Digitized Sky Survey (DSS-1) overlaid with object outlines generated from the Principal Galaxies Catalog (PGC). 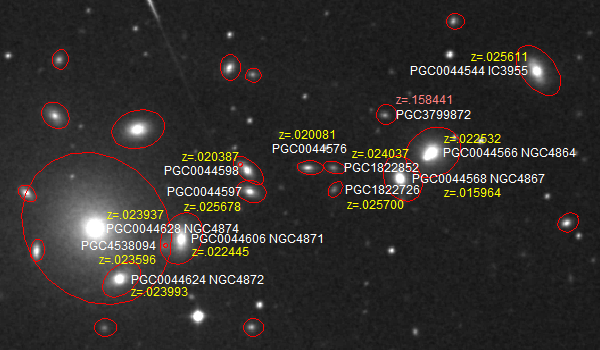 In the image are a large number of the aforementioned compact spiral galaxies extending outward from the elliptical galaxy NGC 4874 in three or more curved spiral arms. 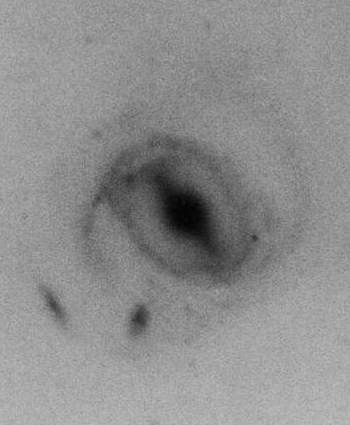 The image below, also exported from Cartes Du Ciel, is a close-up of one of these spiral arms. 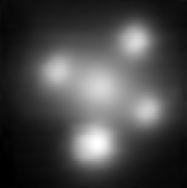 This photograph is from the ESO’s second Digitized Sky Survey (DSS-2) red channel while the object outlines are again generated from the PGC. In this image I have labeled in yellow the redshifts (z) for all the objects in the spiral arm including the center elliptical galaxy. Most of these redshifts might seem to fall within a very narrow range of values. However when they are converted to distances it becomes obvious that the measurements vary significantly for such a tightly grouped set of objects. 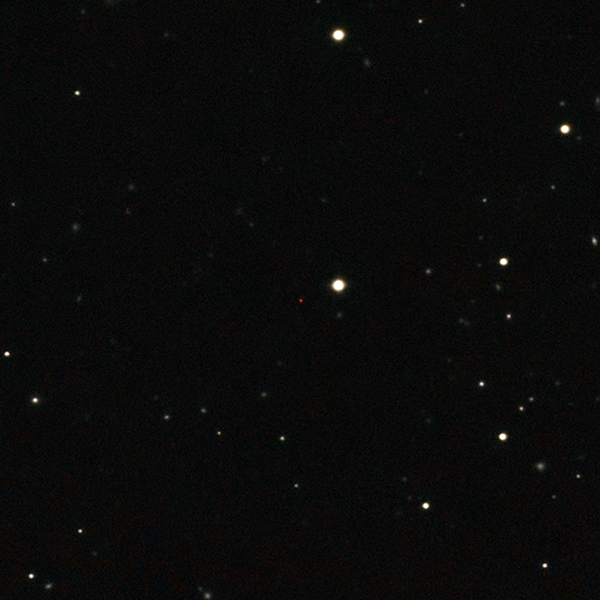 The smallest redshift value belongs to NGC 4867 at 0.015964 z. This places the galaxy at a supposed distance of over 282 million light years away when the redshift is converted to distance using a so-called Hubble Constant value of 55 (km/s)/Mpc. The highest redshift value belongs to PGC 1822726 which supposedly places it much further away at a distance of over 454 million light years using the same conversion method. So here we have a group of small compact spiral galaxies packed so close together in a spiral arm configuration that a few of them appear to be almost touching; yet their redshifts indicate a maximum separation of over 171 million light years when viewed from Earth. There is also a galaxy in this spiral arm that appears to be the same size and shape as a couple of the other smaller galaxies in the arm but with a redshift of 0.158441 z. 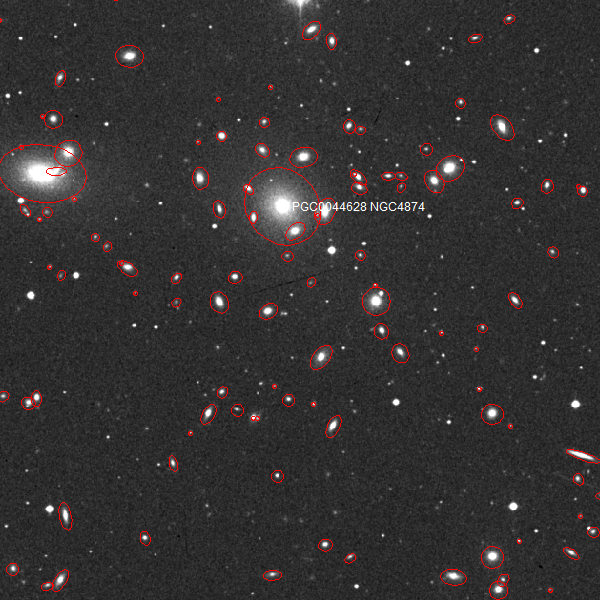 This value, which I’ve marked in red, supposedly places this galaxy at an incredible distance of over 2.7 billion light years away! This galaxy also shares the exact same morphology with several similarly sized galaxies in the other arms of the super spiral and yet is supposedly located almost ten times further away! Once again scientists are faced with a big question: How can multiple objects be arranged in such tightly defined spiral shapes yet be separated from one another by such vast distances and only along one axis? And once again scientists can try to dismiss the findings as coincidence or dismiss the question altogether. But the evidence that extragalactic redshifts do not accurately represent distances and an associated expansion of the Universe will still continue to mount. I will of course continue to post examples of super spiral groups in this Report and I will continue to draw attention to the evidence. Questions and comments about any of these examples or the evidence are welcomed as always. I have long pondered whether to ever post the following example. 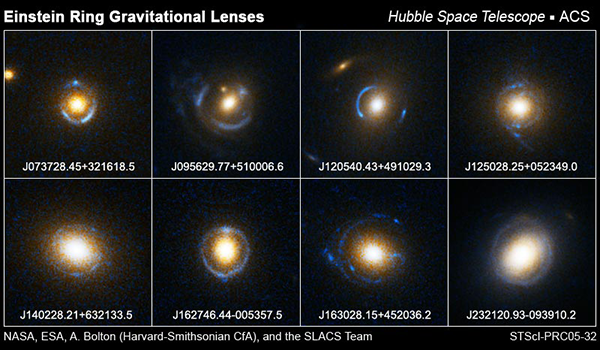 It is possibly the single best example of visibly connected extragalactic objects with discordant redshifts in existence today. The physical connection between the objects is so plainly visible and their associated redshifts so disparate that one would think I would not hesitate to feature them on this website. 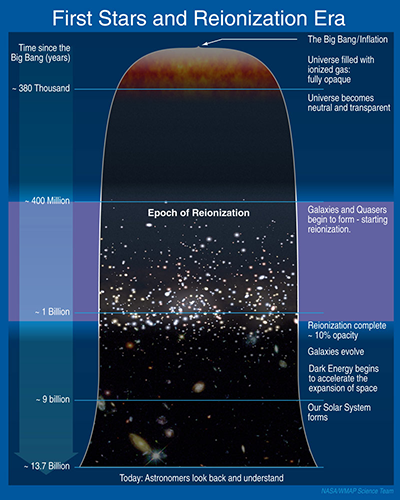 Ironically, despite the overwhelmingly visible proof the following images provide, they also serve as stark reminders of just how stubborn and incredibly biased the current scientific community is in regards to discordant redshifts or any evidence that might throw the Big Bang Theory into question. 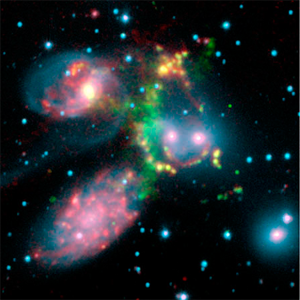 This mixed infrared-optical wavelength image shows unusually hot hydrogen gas as green streamers of H-alpha emissions connecting the arms of NGC 7318A and B with the galaxies NGC 7319 and 7320. The original full size image is available from the Spitzer Space Telescope site where the accompanying article describes the discordant NGC 7320 as “the large spiral at the bottom left of the image” that is a “foreground object and is not associated with the cluster”. 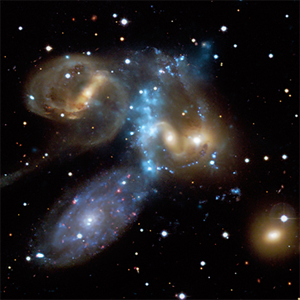 This mixed x-ray-optical image shows the same hot hydrogen as light blue streamers connecting the same four galaxies and possibly even the fifth, NGC 7317. The original image and its individual layers are available at the Chandra X-Ray Observatory website where once again the connection with discordant NGC 7320 is flatly denied. The article on the main object page describes NGC 7320 as a “prominent foreground galaxy” that is “not a member of the group”. These well-documented observations should be accepted as definitive proof that redshifts are not indicative of distance. Instead they are once again explained away as mere coincidence or otherwise ignored completely. 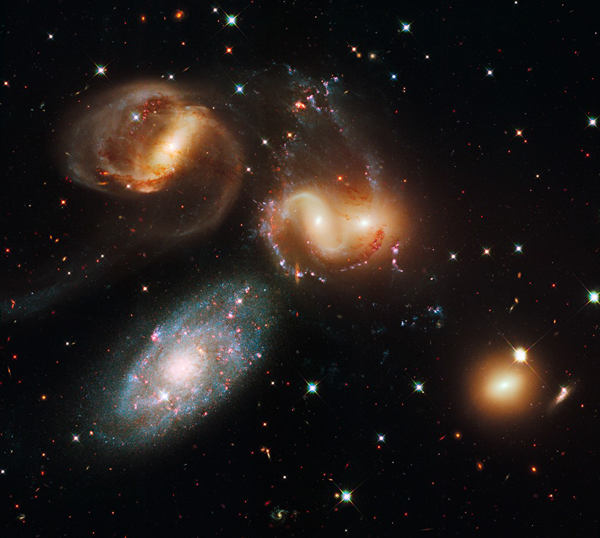 When I have considered posting Stephan’s Quintet in the past I have hesitated because I feared it would serve to demotivate me in the fight to get the truth out to the public. If the scientific community will deny even this example what hope is there to ever convince anyone to accept a different interpretation of redshift measurements? Surprisingly, while preparing this article, I found myself inspired by the fact that the included observations and measurements are at least out there and available for anyone to see. The evidence does really exist, it is not too difficult to obtain, and many times it is very plain to see its implications. I also found inspiration in the recent encouragement I received from some of the readers of this site. Thank you all again for your support. So I will continue to post, and continue to hope that one day we will move past the current Ptolemaic-like view of the Universe and move towards solving its real mysteries! I will also continue to encourage all visitors to this site to pursue their own observations and please feel free to contribute any examples to the cause.